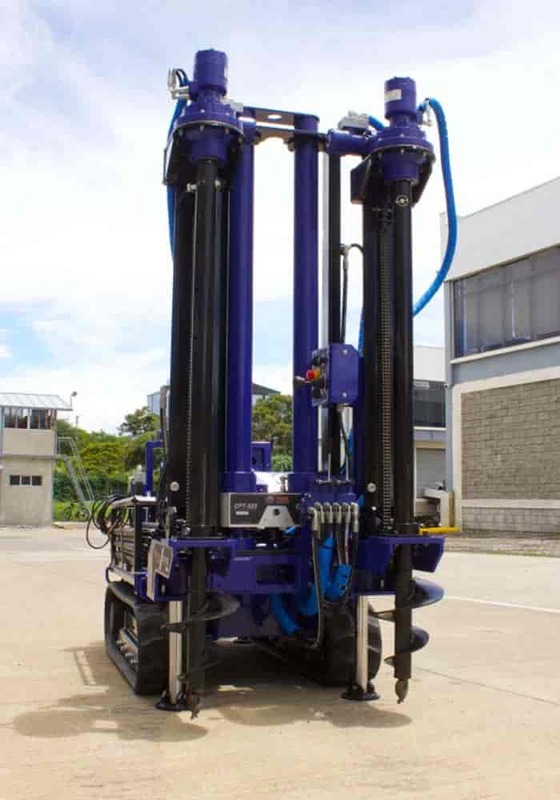 CPT Rigs (Cone Penetrometer Test Rigs) are used for pushing CPT cones into the ground to obtain readings such as tip pressure, friction sleeve readings, pore pressure and seismic readings. 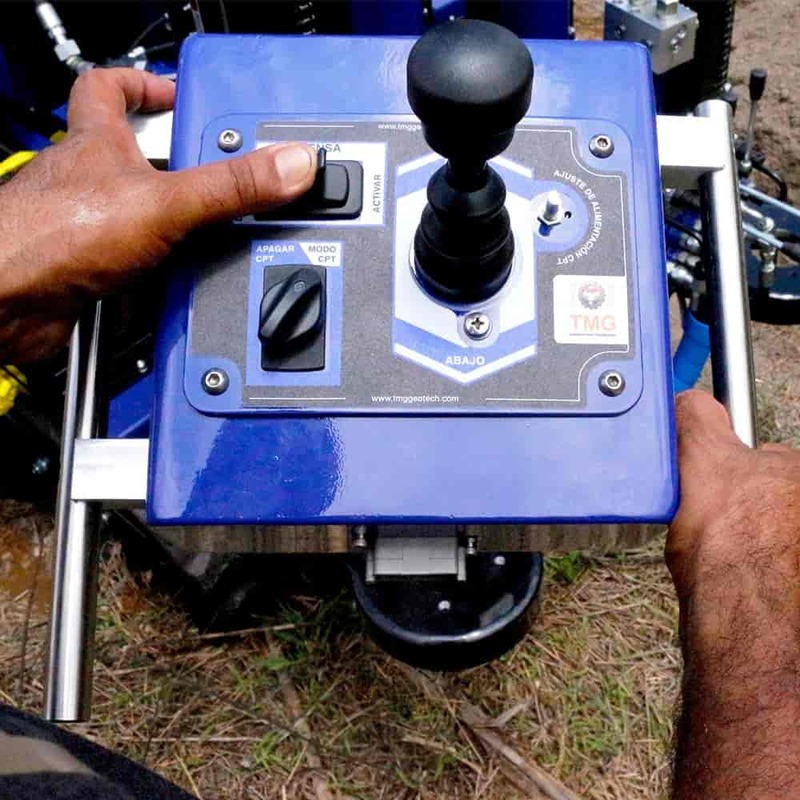 This data is then used to interpret and classify soil conditions for numerous purposes, including determining the bearing capacity of the soil for construction. 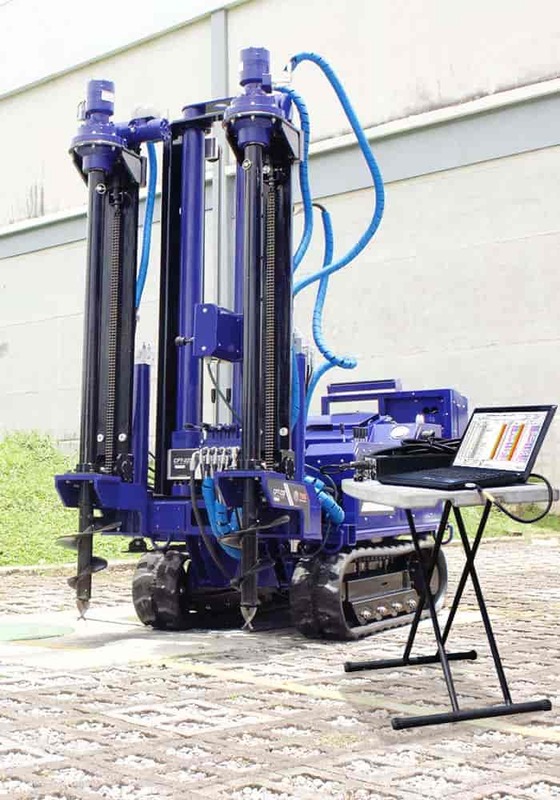 As the CPT cone is slowly advanced into the soils by the CPT rig, it collects the CPT readings, which are then recorded and displayed on a laptop. 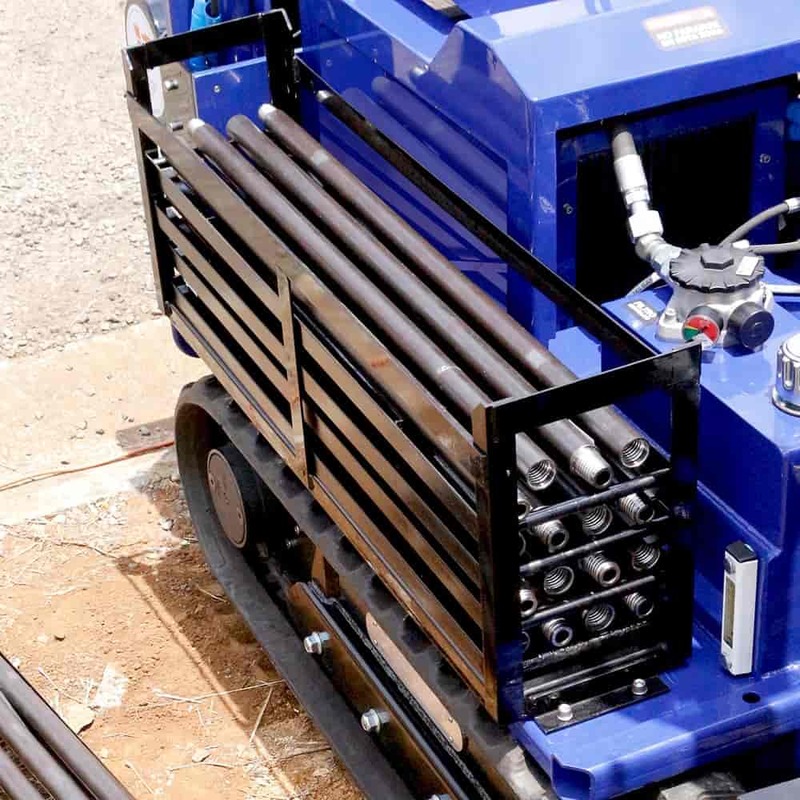 Most CPT rigs come in 10-ton, 15-ton and 20-ton pushing capacities and can be mounted on tracks, trailer or truck. 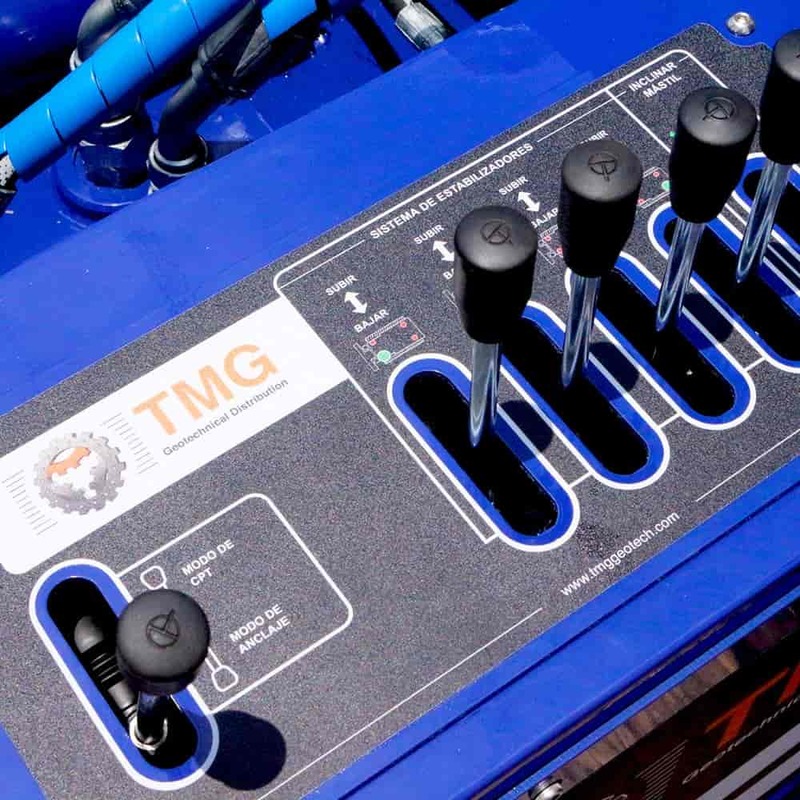 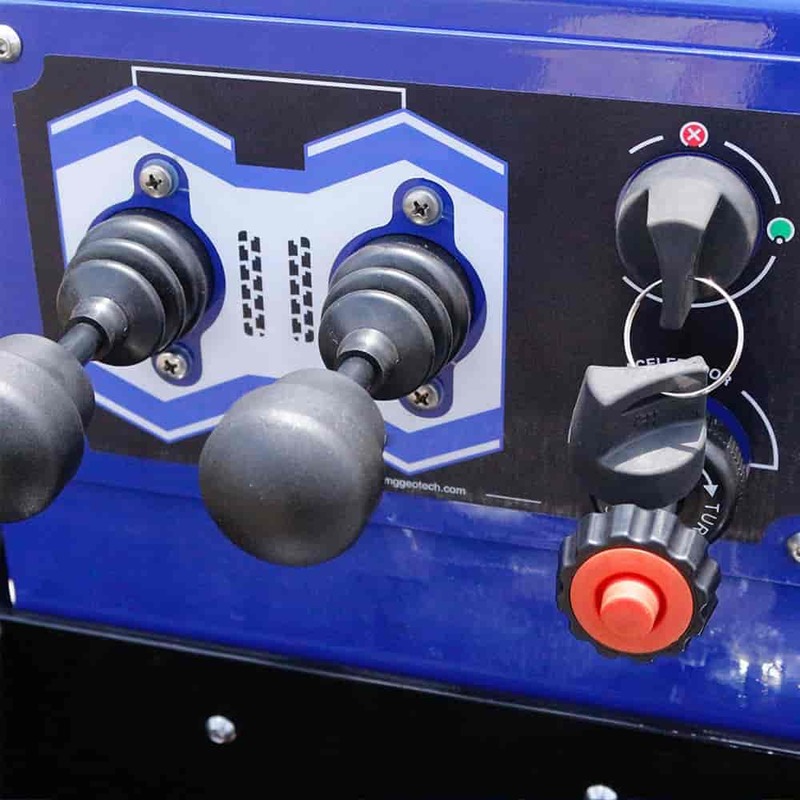 TMG Manufacturing prides itself on building extremely powerful, yet compact CPT rigs. 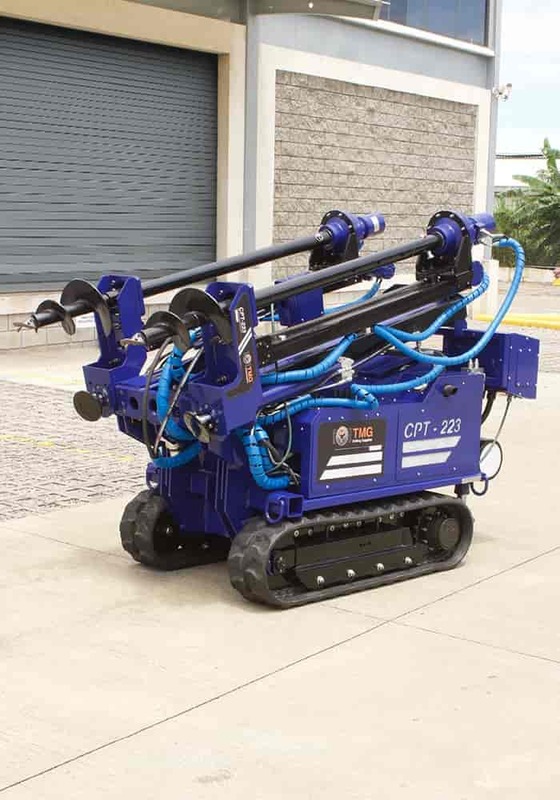 These amazing rigs are the smallest 10 and 20-ton CPT machines on the market. 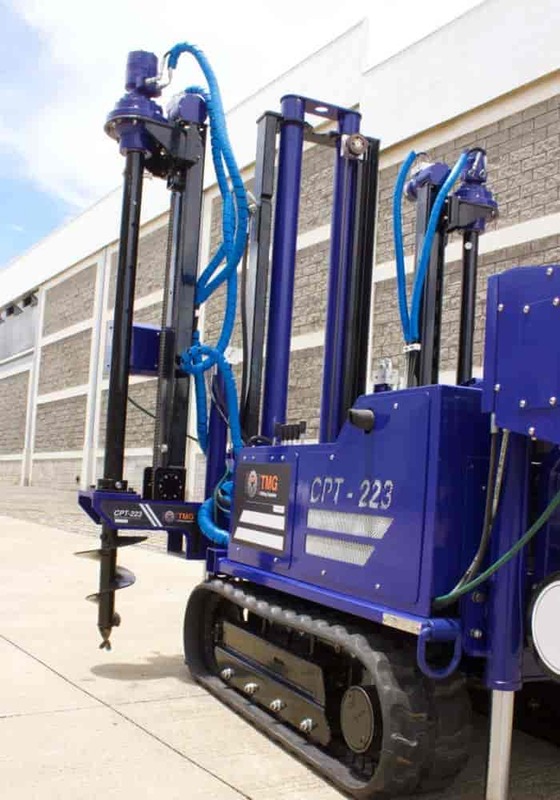 Our CPT-123 and CPT-223 both feature unique folding anchoring mast systems, allowing increased maneuverability in tight spots. 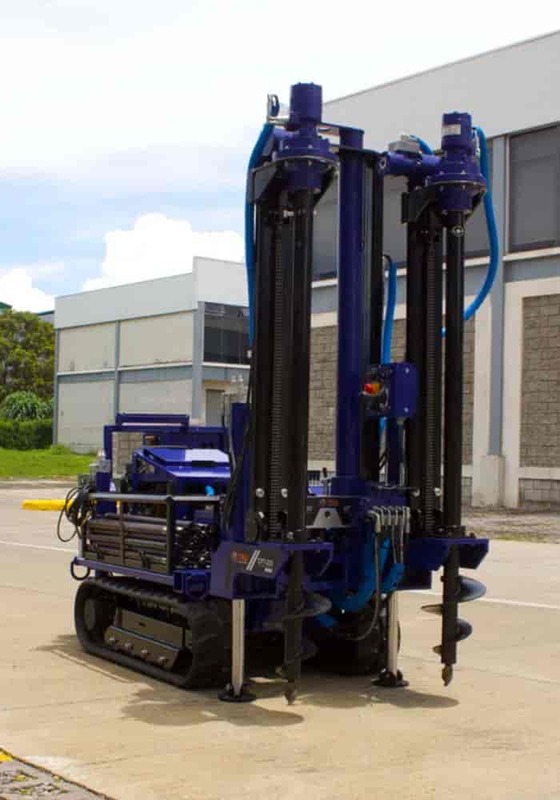 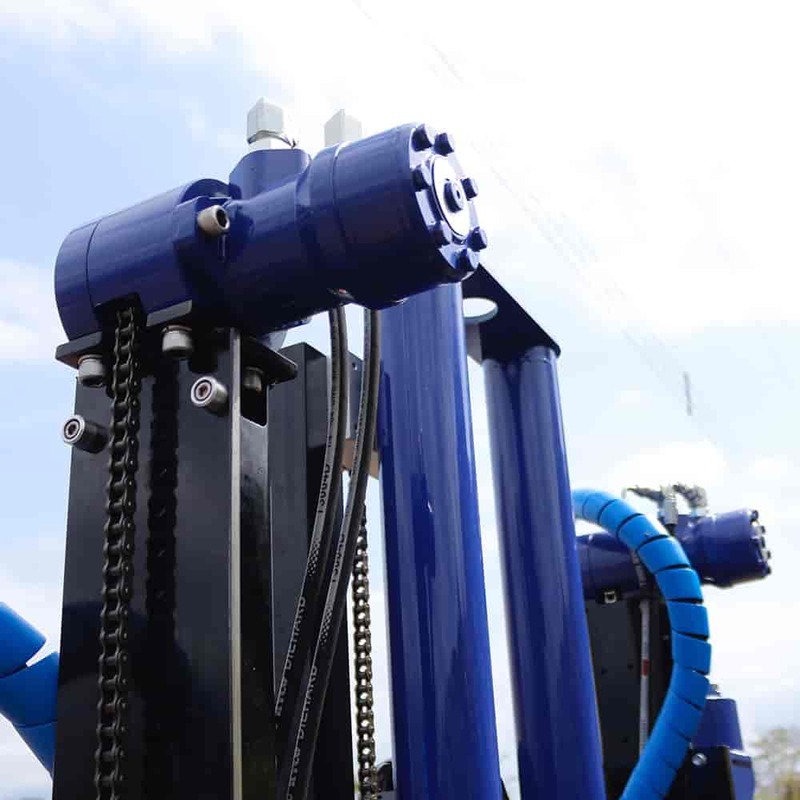 These CPT rigs also feature 23 hp gasoline engines, built-in pipe racks and power inverters, and include a standard dual-hydraulic cylinder mast with anchoring drive head. 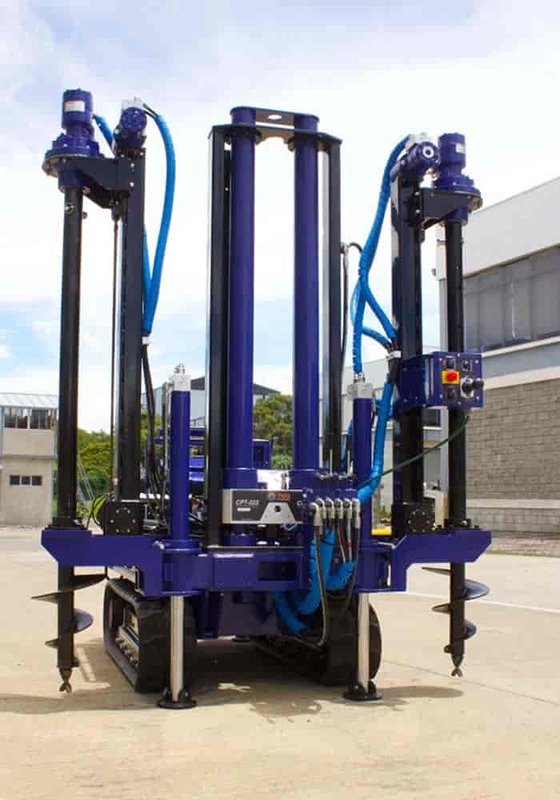 Our CPT rigs can be track-mounted and anchored into the ground with augers, or truck or trailer-mounted.